New Mexico is more than just Albuquerque and Santa Fe, but most people forget that. As it happens, it is more than just vast red rock desert too; New Mexico is a diverse land of contrasts--of lakes, canyons, high mountains, rivers and glorious sunsets over grassy plains and red desert alike. It is a place where only a few wander outside of the towns and into the wild, but those that are daring enough are rewarded with unforgettable scenery. New Mexico has a vast variety of campgrounds ready for the brave and daring who want to camp in the wild to enjoy the golden sunsets, vibrant starry night-time desert sky and the unique and occasionally dangerous wildlife that the state has to offer. Elephant Rock Campground may not seem like a great campground at first as it is nestled right up against the roadside. However, once campers pull in, they will see why it is so special. The campground itself is located along the Red River and protected from road noise by a thick barrier of Spruce and Fir. However, the campsites open up once in the campground itself giving excellent views of the Rocky Mountains in the distance. The sites are highly developed with several having lovely rocky support walls to prevent erosion and the sites are spaced out so campers won't be cuddled right up against their neighbor's campsite; nor will the glow of your lantern disturb anyone else. Elephant Rock hosts all the perks of a roadside campground, with groceries and other conveniences just a few miles away in the town of Red River, but without the roadside noise. This campground is primarily for the fishermen, the nearby Red River and Eagle Rock Lake are stocked with trout and other game fish three times a year which makes for an always fruitful trip. However, for those that crave some hiking, the famous Columbine Trail as well as several others are located all around the campground area. 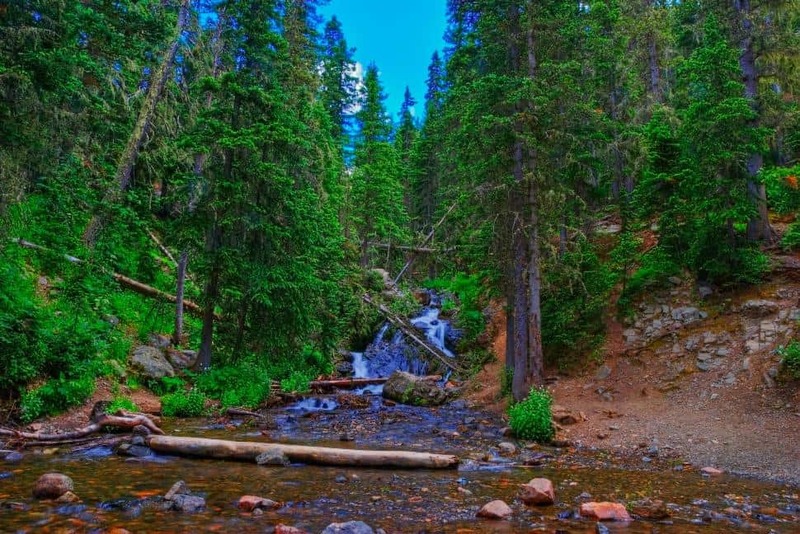 The Lincoln National Forest and the Apache Campground within is an oasis in southern New Mexico. This campground is used as a great place to escape the desert heat. It is one of those contrasts that New Mexico is famous for; campers can enjoy the surrounding desert before retreating to a thick forest of Aspen and Fir that seems more like something they would find in Colorado rather than southern New Mexico. Visitors can hike beautiful forest trails that actually switch in between desert and forest or wander along the serene Apache Creek. The campsites are well spaced so visitors are likely not to see their neighbors unless they go walking around. Since Apache is also quite a way off the beaten path, it is likely that there will be few campers there to begin with. It is an excellent campground to go to when you need to get away from it all. 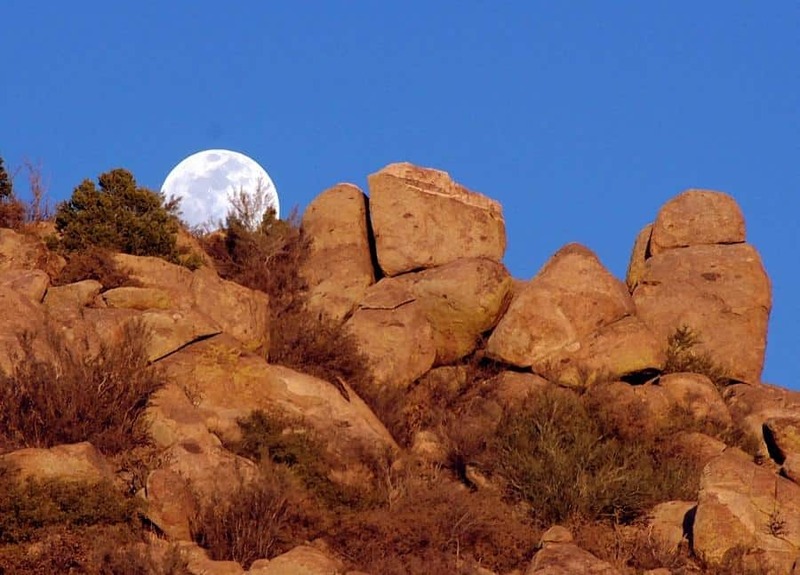 Even without the campground, the City of Rocks is one of New Mexico's biggest natural attractions. Over 30 million years ago, volcanic ash welded together and since then has since been sculpted by wind and water into rows of monolithic blocks. The campground is located near the rock formations, where visitors can gaze at them right from their campsite. However, this is a desert campground so there is little in the way of shade or privacy between the campsites. However, they are decently spread out so your neighbor will have to walk a bit to start conversation. During the day, visitors can get their fill of the rocks by taking the trails that lead through them. There are also trails that run through the park's beautiful cacti gardens. During the night hours, campers looking for something to do should head for the night sky observatory. However, the night sky will still be plenty bright right from their campsite. The Dipping Vat Campground is located right up against Snow Lake, 52 miles southeast of the town of Reserve. Although it is nestled in the Gila National Forest, hiking is not many of the local New Mexican camper's favorite pastimes. The local campers come for fishing in Snow Lake. The lake is stocked with trout three times a year and hosts some excellent fishing. Visitors can bring their own boat, but there is also boat rental nearby the campground so visitors can enjoy its beautiful desert waters. Unlike the lake, the campground is provided some reprieve from the hot desert sun by a nice pine forest, though it is close enough to the lake to walk to. As the lake area is so barren, there is no need for formal walking trails, visitors are likely to spy a number of people just walking all over the place, but most will be around the lake. Much like the Dipping Vat, Storrie Lake Campground is a serene lakeside affair nestled right in the middle of the beautiful desert. However, unlike the Dipping Vat, there is no nice pine forest to provide the campground with shade. Most of the campsites are located under the shade of a solitary tree, but that does little to provide with any privacy. However, with only ten sites and all of them spread far apart, campers will have enough space in between them and their neighbors. The campground is just a short walk from Storrie Lake where visitors can sit and fish or walk around the shoreline as it alternates between grassy and sandy. For those up for a little day trip in between their camping experience, Storrie Lake is only a few miles from the historic town of Las Vegas. No, not the glittering city that is located in Nevada, but rather the favorite hangout of some of that gruffest Wild West characters including Doc Holiday, Billy the Kid and Wyatt Earp.